Add the mushrooms and cook until softened as well. Fry the steak separately sprinkling the seasoning over, then mix the steak in with the vegetables. Top the mixture with the cheese and cover with a lid or cloche to help the cheese melt. You can add jalapenos at this stage if you like your food spicy. Toast the ciabatta while the cheese is melting. 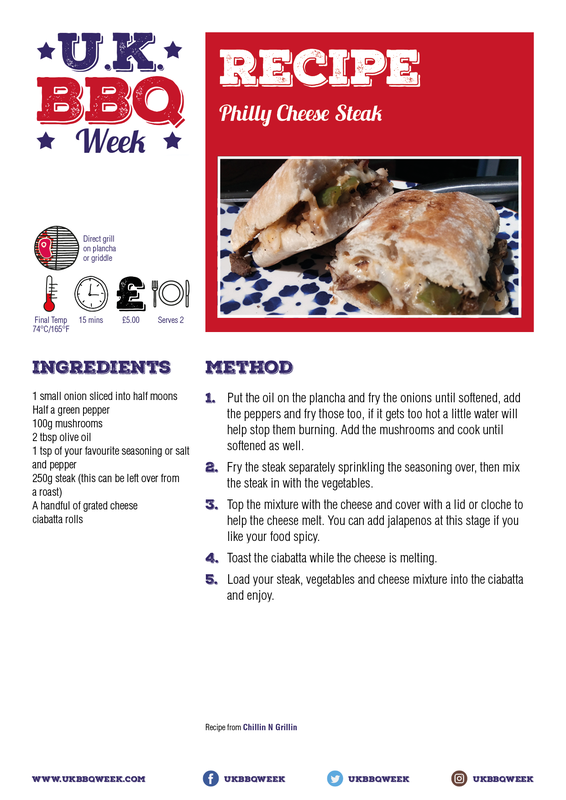 Load your steak, vegetables and cheese mixture into the ciabatta and enjoy.